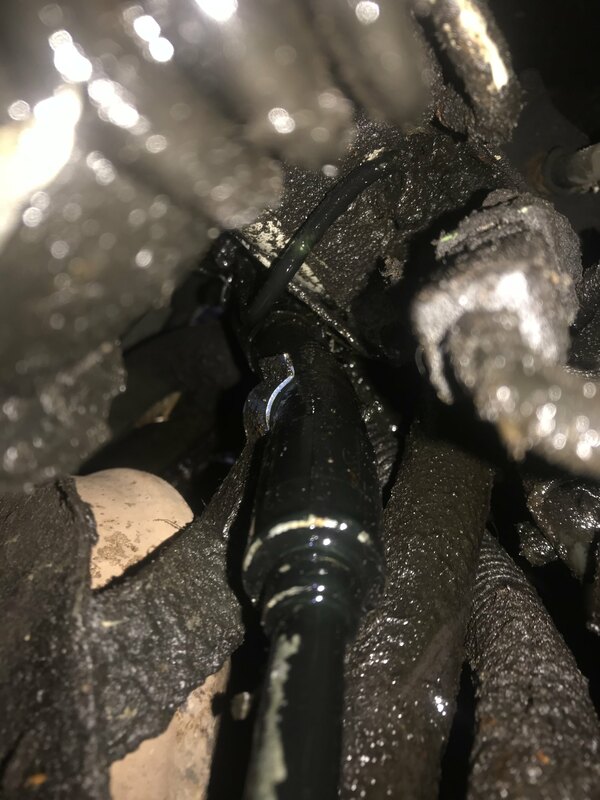 So if we assume you have fuel as the plugs are smothered in the stuff, if you have a spark in the right place too then there could well be a mechanical problem, quick compression test while the plugs are out to just confirm that's all fine? You'll need to clean up the area and dry off, then a better chance of seeing where the leak is. It's usually from the small leak-back pipes, and their rubber couplings. I was sorry to hear about the further issues Ben and including hydraulic leaks and the advice from Chris to thoroughly clean the effected area does make great sense. It is not uncommon for the large diameter low pressure return pipes behind the front wheels to weep at the rubber-metal unions and I suspect that is your problem. The access to replace the pipes is unfortunately very restricted, but the job is doable and I replaced an offside pipe one of my V6. In relation to removal of the tight spheres I strongly recommend the careful application of heat and I have not been beaten yet! With regards, Matthew T.
For all spheres except the rear corner ones, make sure the system is depressurised (and on lowest, etc) when trying to unscrew. Pressure tightens a sphere in its mount, which is why they only need to be done up hand-tight when replacing.